So I think I've found a second spoiler for the March 2015 Popsugar Must Have box (thank you A.B.)! Please note the background on the above teaser pic for the March box and then look below at the far right product. This was posted on the Popsugar website in the March Must Haves section. Update: I'm kinda bummed I was wrong. Dangit! This was so perfect!! Doesn't the Grapefruit Basil hand soap design look awfully similar (and hinty!) to the background of the teaser? I think so. Also please note that on the bottle it says "Hand Renewal" (renewal!). 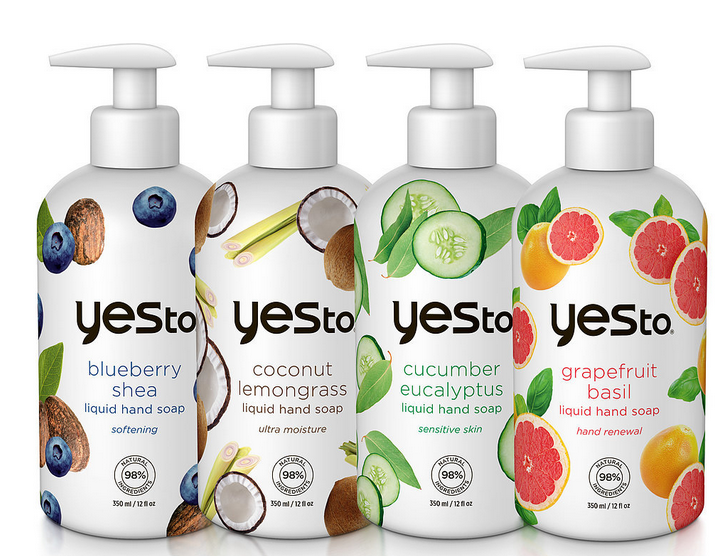 YES TO washing your hands with nothing but the best! Naturally refreshing grapefruit and fresh basil lightly scent your hands and leave them ready for hand-holding with your special someone. The first spoiler (and only official one so far) is a full size Bliss MicroMagic Microdermabrasion Treatment. You can read more about that in my post here. If you want to sign up for a Popsugar Must Have box of your own, you can do that right here. Make sure to use coupon code REFER5 to get $5 off your first box. UPDATE: The March box is sold out. If you sign up now it will be for the April box. Also!! Do not forget to enter my Anniversary Giveaway to win your own Popsugar box!! 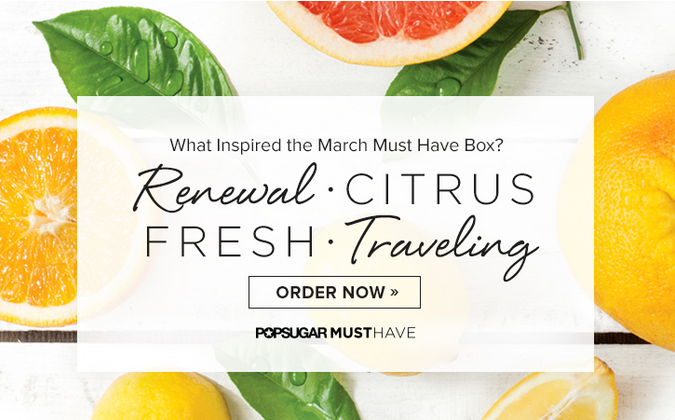 Enter to win a February or a March April Popsugar box!! Only 2 days left! I was just thinking the other day it would be nice to get hand soap in a sub box. Too bad I didn't sign up for the box before it sold out. I could totally be wrong and then you won't have to feel bad :D I can't believe how fast these boxes are selling out though! It's barely March and now they're on to April!